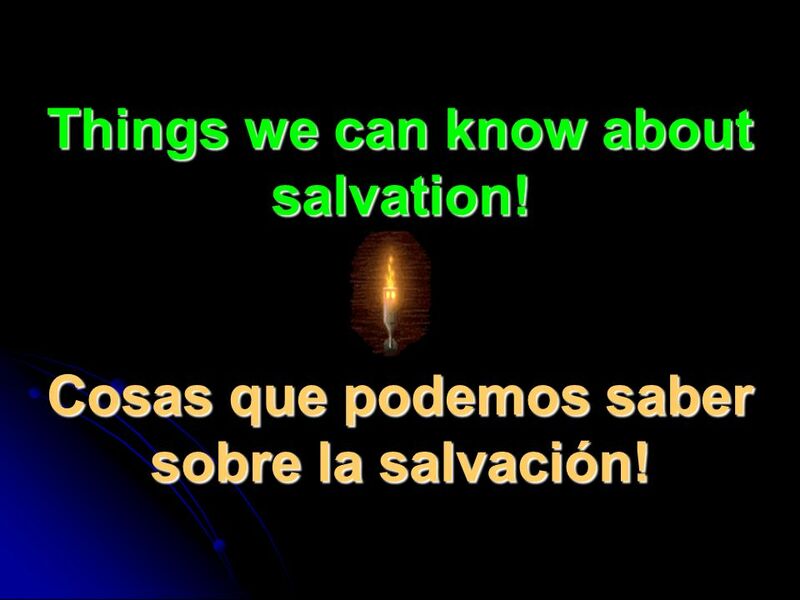 1 Things we can know about salvation! Cosas que podemos saber sobre la salvación! 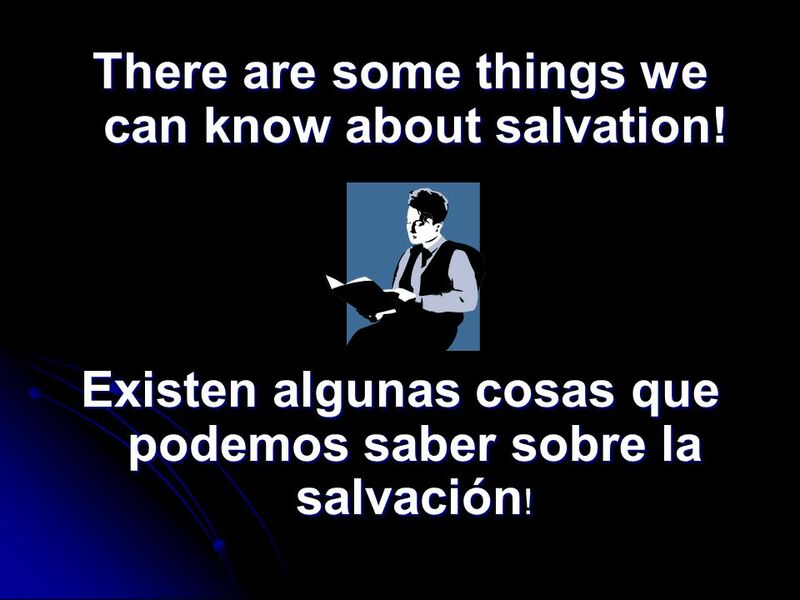 3 There are some things we can know about salvation! 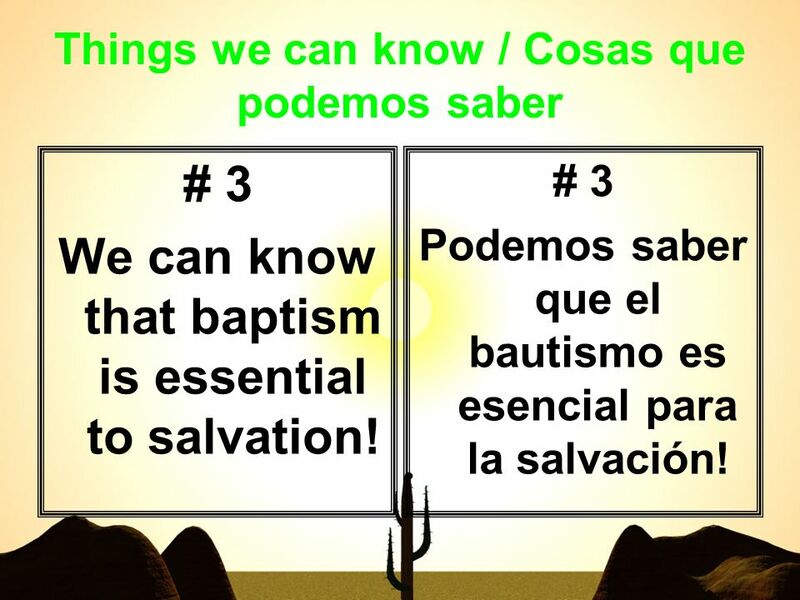 Existen algunas cosas que podemos saber sobre la salvación ! 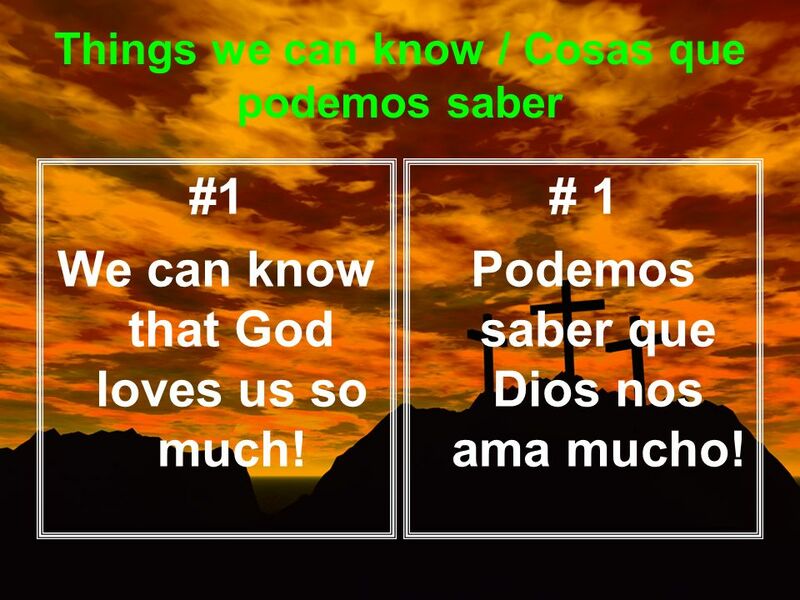 5 Things we can know / Cosas que podemos saber #1 We can know that God loves us so much! 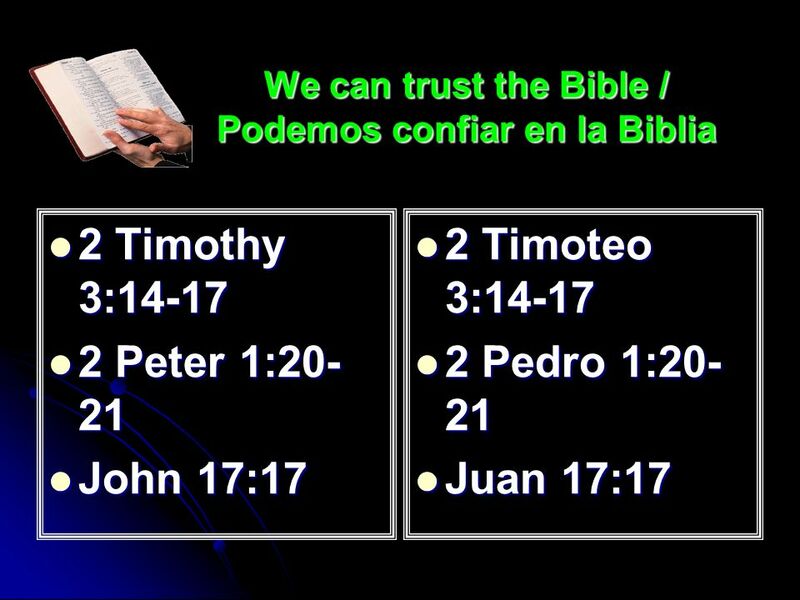 # 1 Podemos saber que Dios nos ama mucho! 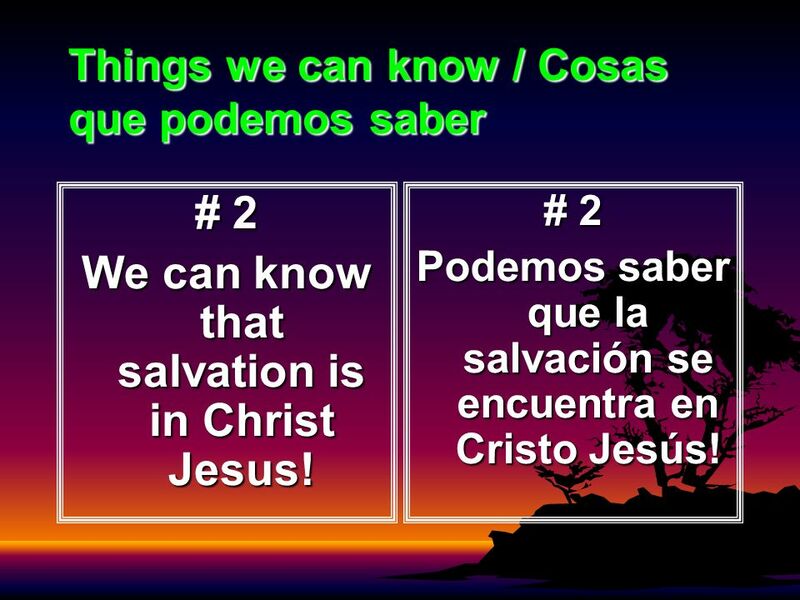 8 Things we can know / Cosas que podemos saber # 2 We can know that salvation is in Christ Jesus! 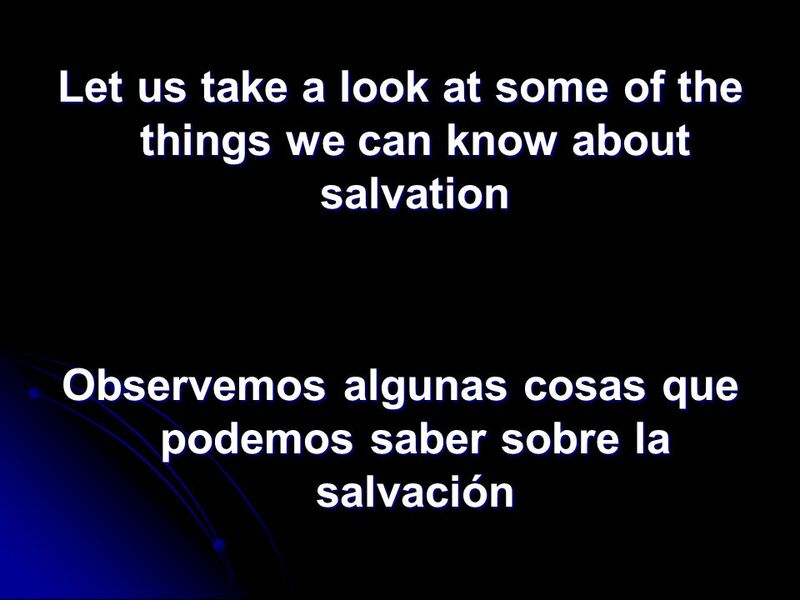 # 2 Podemos saber que la salvación se encuentra en Cristo Jesús! 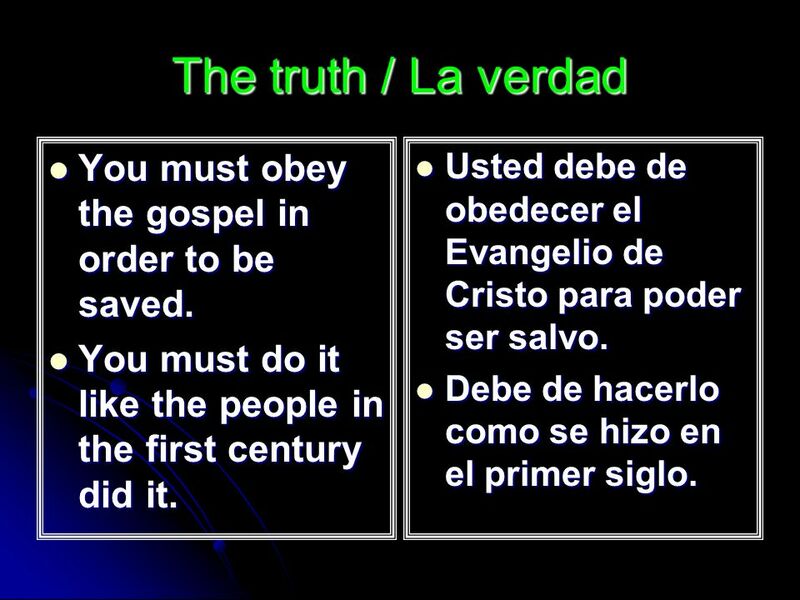 14 The truth / La verdad You must obey the gospel in order to be saved. 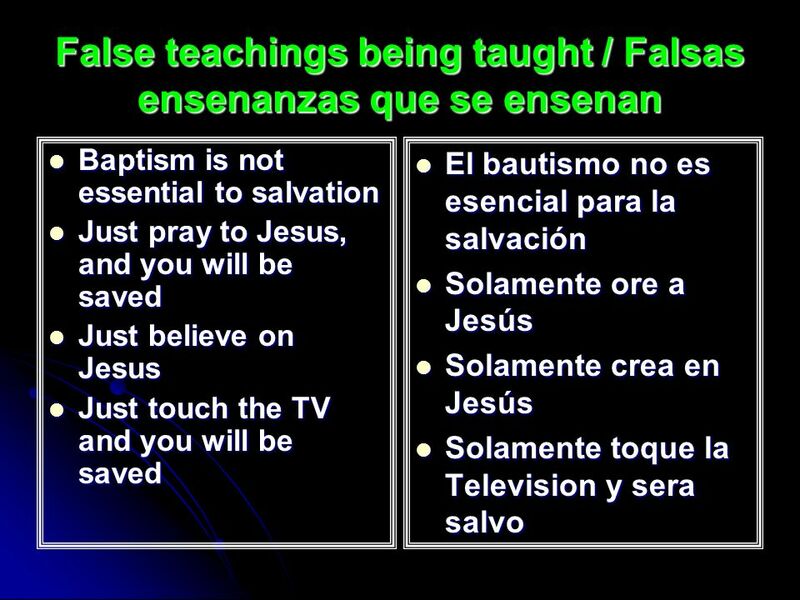 You must obey the gospel in order to be saved. You must do it like the people in the first century did it. You must do it like the people in the first century did it. 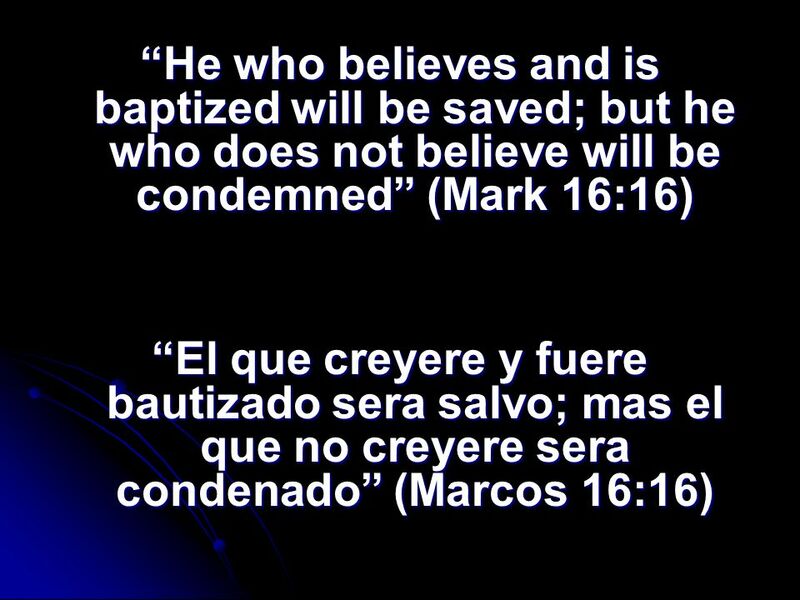 Usted debe de obedecer el Evangelio de Cristo para poder ser salvo. 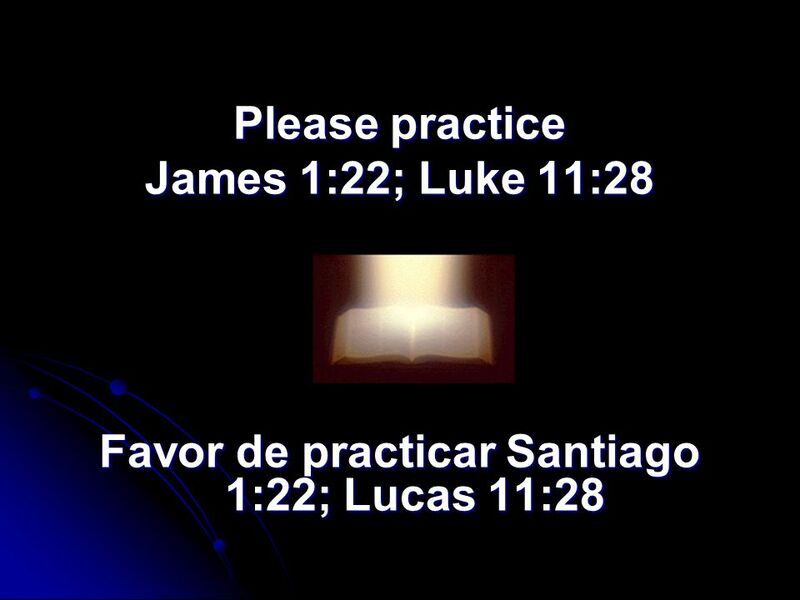 Usted debe de obedecer el Evangelio de Cristo para poder ser salvo. Debe de hacerlo como se hizo en el primer siglo. Debe de hacerlo como se hizo en el primer siglo. 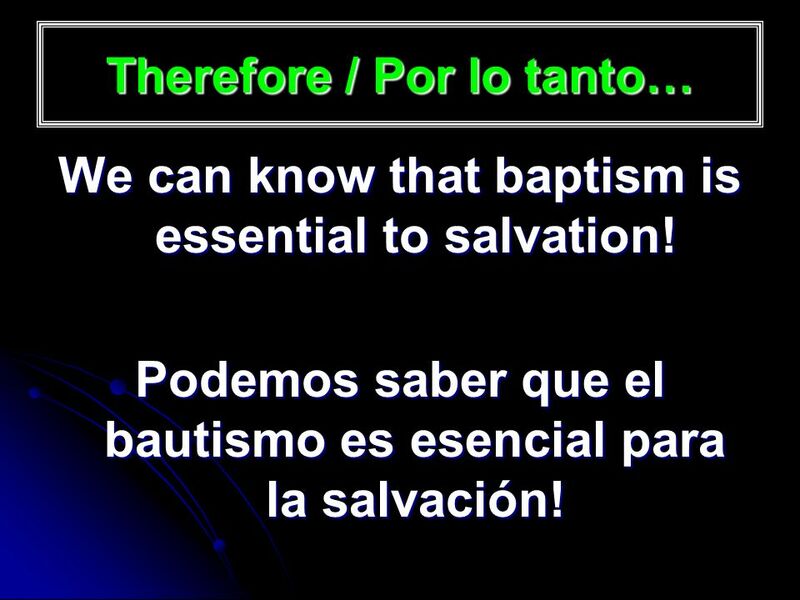 16 Therefore / Por lo tanto… We can know that baptism is essential to salvation! 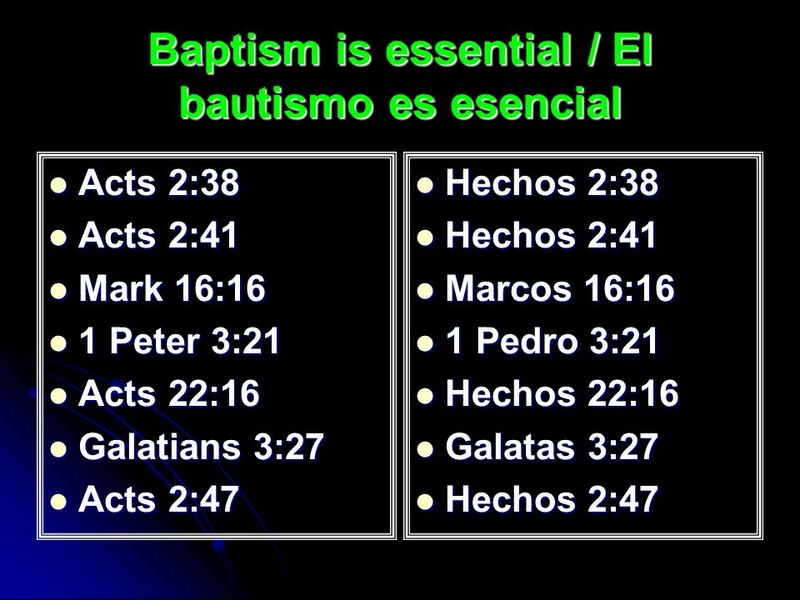 Podemos saber que el bautismo es esencial para la salvación! 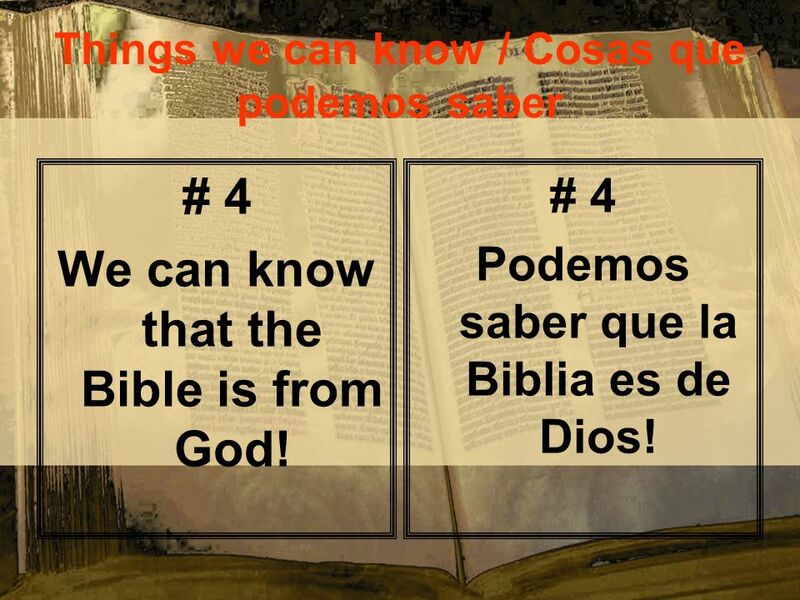 17 Things we can know / Cosas que podemos saber # 4 We can know that the Bible is from God! 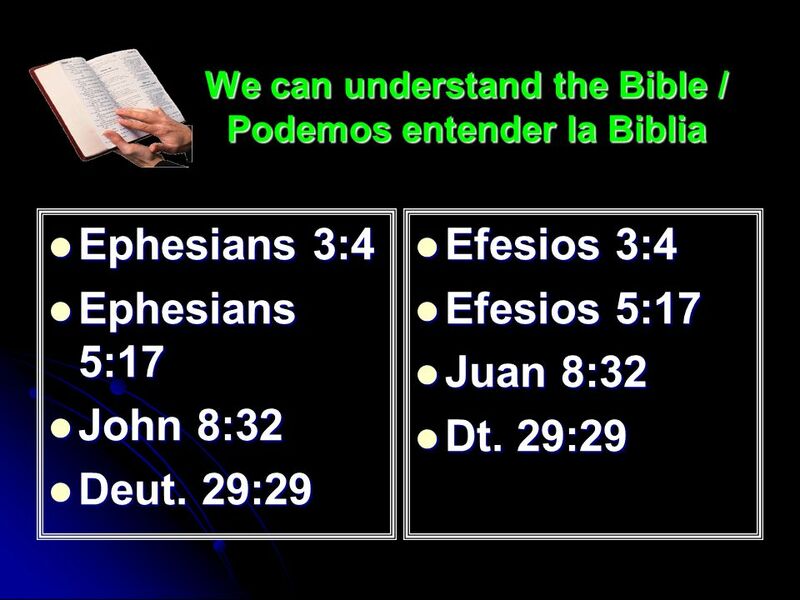 # 4 Podemos saber que la Biblia es de Dios! 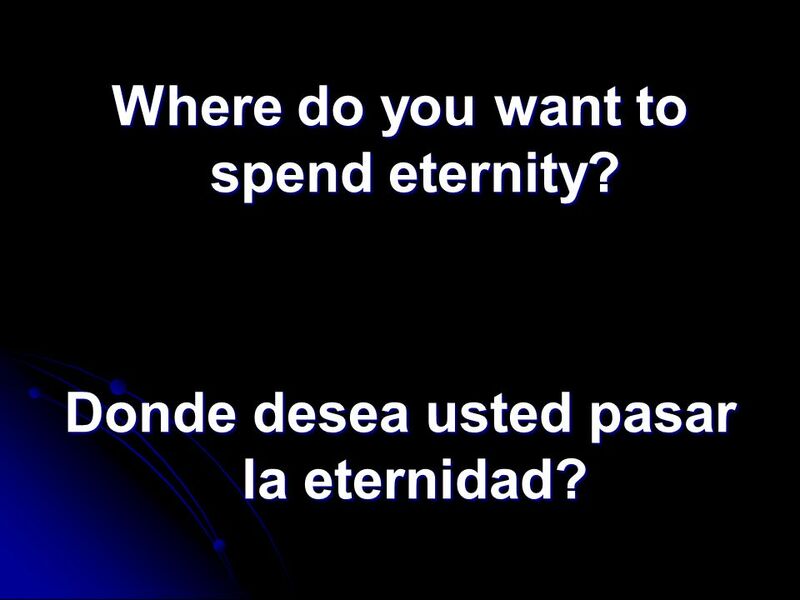 22 Where do you want to spend eternity? 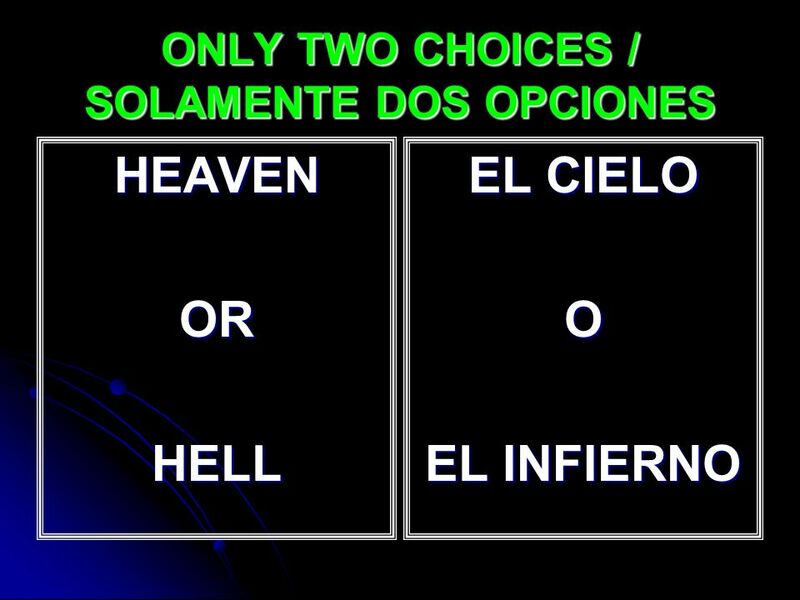 Donde desea usted pasar la eternidad? 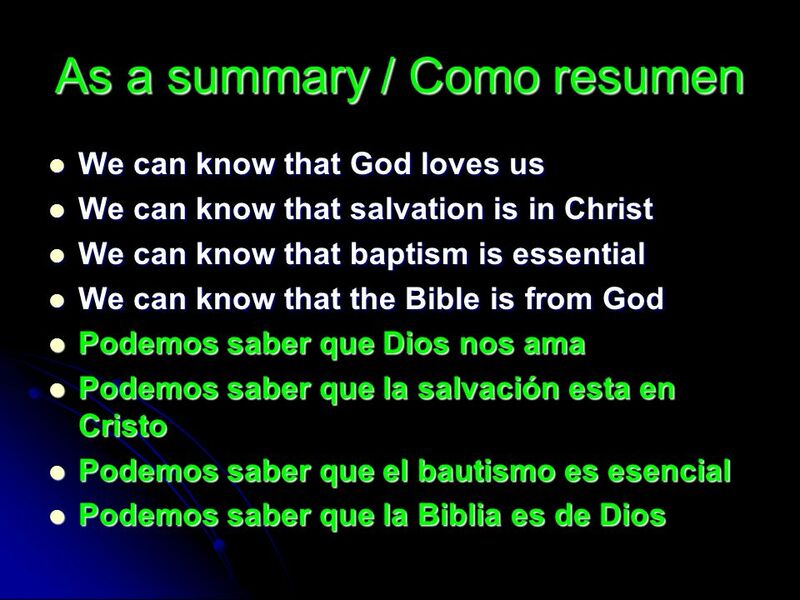 Descargar ppt "Things we can know about salvation! Cosas que podemos saber sobre la salvación!" 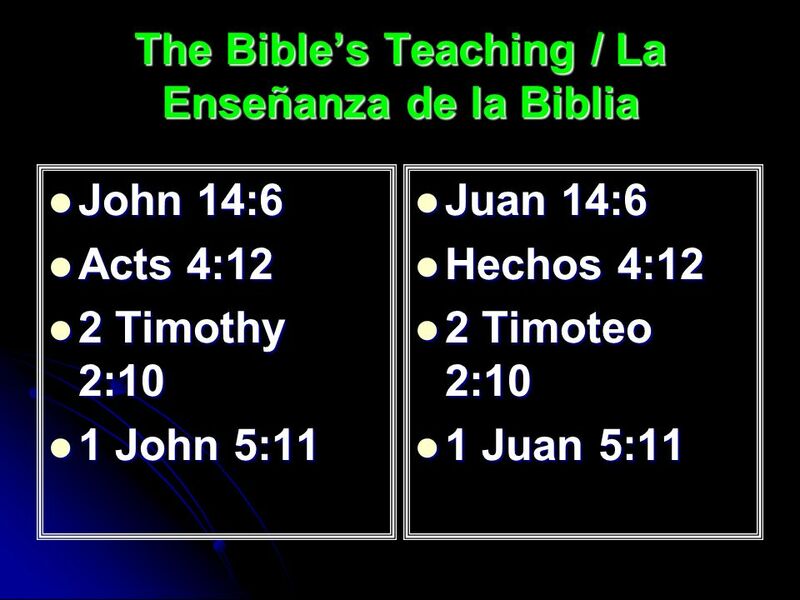 3 September Lets Talk About: Who was Ezra? 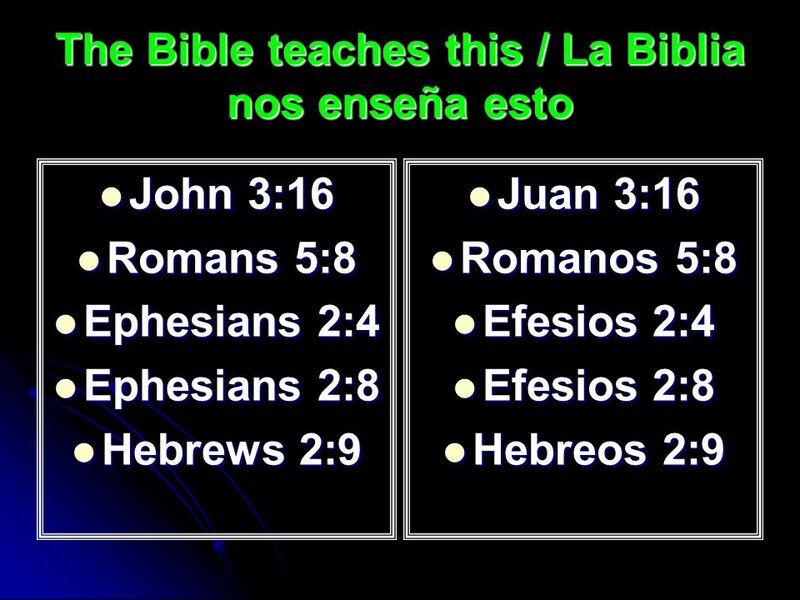 Quien es Esdras? The "scribe" who led the second body of exiles that returned from Babylon to Jerusalem. 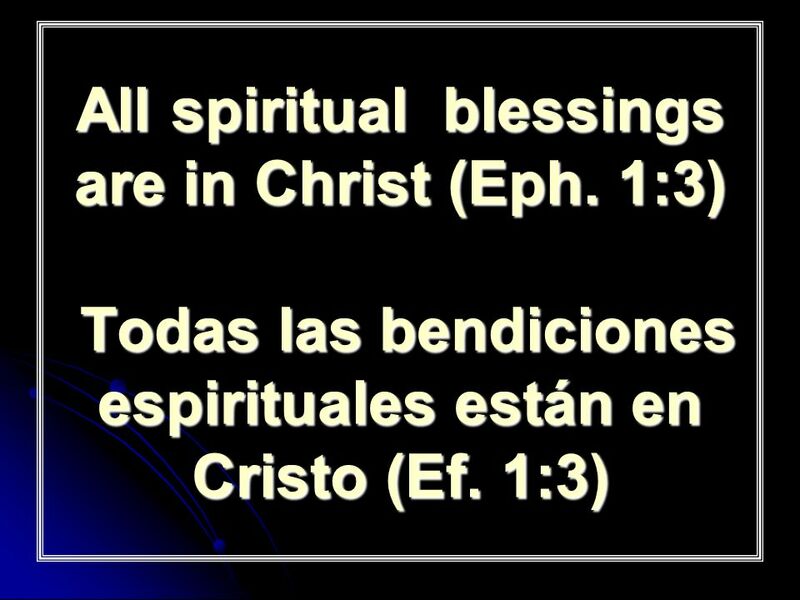 Isaiah 55:6,7 6 Seek the LORD while he may be found; call on him while he is near. 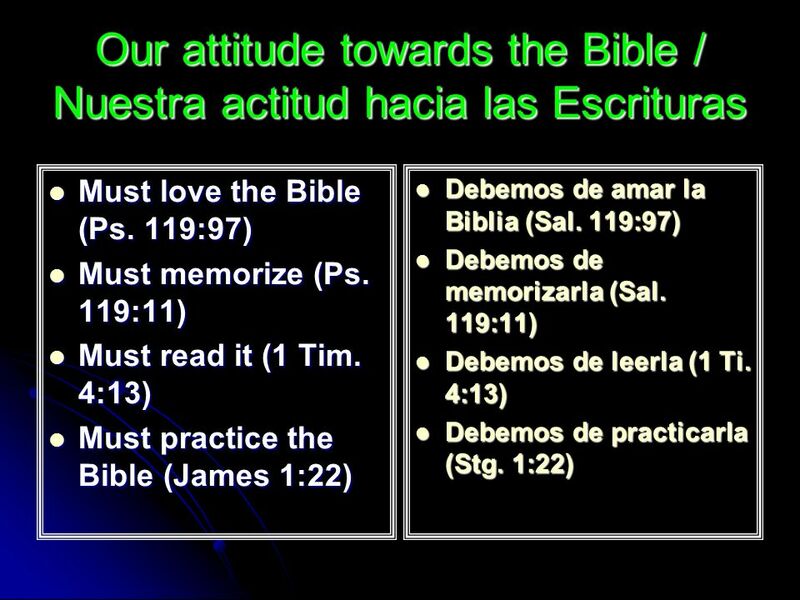 7 Let the wicked forsake their ways and the unrighteous their thoughts.